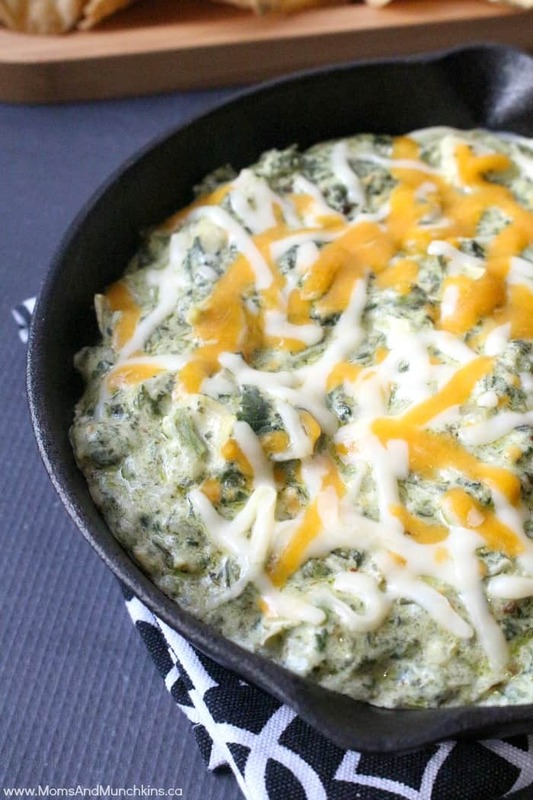 This Hot Artichoke and Spinach Dip is so delicious – it easily wins my vote for Favorite Dip! You may be surprised at how easy it is to make. This batch would easily serve a party of 8 people or more…unless one person hogs the dish like I usually do! It really is delicious so you may want to make a larger batch depending on the size of your party and how many other appetizers you’ll be serving. It can be served with any type of tortilla corn chips. You could even slightly heat the chips right before serving. Oh great, now I’m starting to drool! Saute onions in butter, adding ingredients while mixing and blending well after each addition. 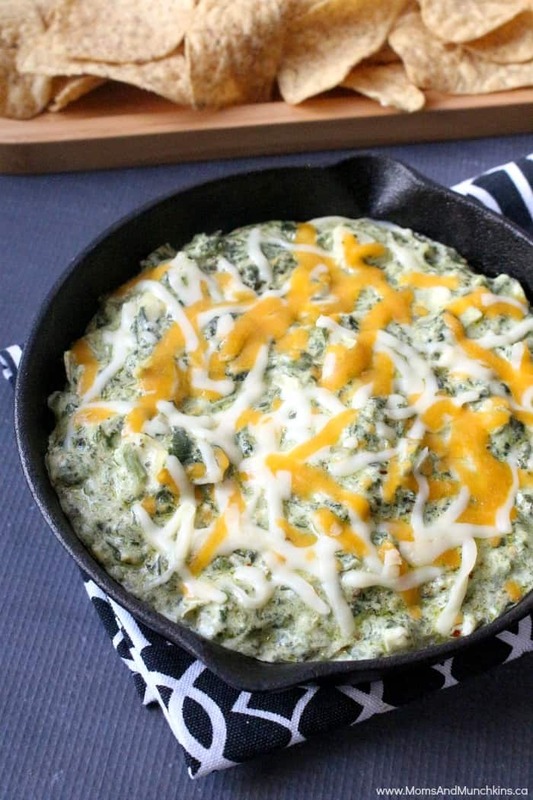 Add ingredients in this order: spinach, cream cheese, sour cream, parmesan cheese, artichoke hearts, red pepper flakes. Remove from heat and put in oven or microwave dish. Top with Monterey Jack cheese and melt. Serve with taco chips. What is your favorite party appetizer? Do you have a dish that everyone always compliments you on or that you are always requested to bring to a party? Let us know in the comments below. For more delicious recipes, check out our special Recipes page. We have more appetizers, main dishes and loads of delicious desserts. Since I love everything to do with a party, most of these recipes are perfect for parties and entertaining. We’re always adding new ideas so stay updated by following us on Facebook, Twitter, Pinterest and Instagram. Just stopping by from tutorial Tuesday. 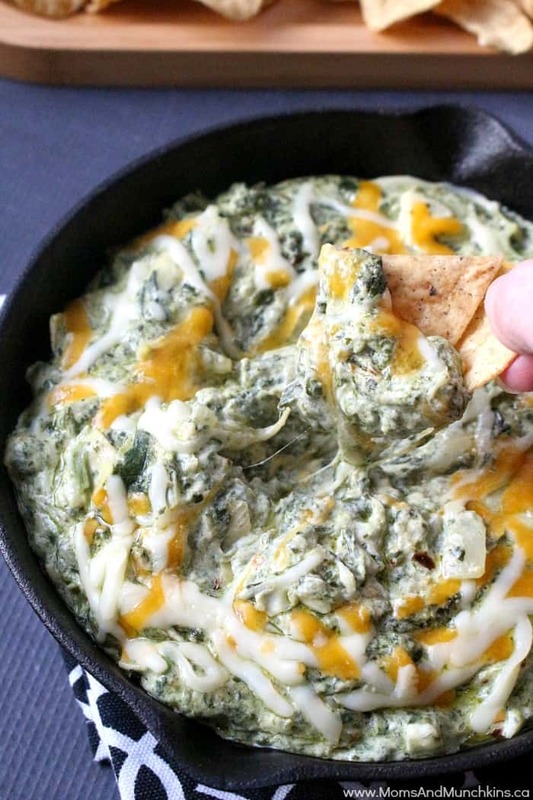 I love spinach artichoke dip and it’s typically my go-to party recipe. During our housewarming party last week we actually served it in little wonton cups made in muffin tins, delicious. Thanks for this recipe! This is always a winner. Thanks for sharing your tasty temptation on beColorful this week.